Glenn Keeling is a Senior Partner at Global Governance Advisors, where he works closely with public and private company boards to navigate thoughtful, well-grounded, and customized governance solutions related to executive and director compensation. Glenn brings the insight of key voting behaviours of the institutional shareholder community and helps to map the expectations of today’s shareholders with compensation, pay for performance, transparent disclosure and goal setting. Glenn’s experience, trusted reputation, and proactive approach, to winning countless proxy battles has made Glenn sought-after to ensure that decision-makers, senior executives, and in-house counsel have access to real-world best practices in all industries. He has served for over 20 years as an advisor to the board of directors and top management of major corporations around the world. Glenn is the recipient of the Canadian Society of Corporate Secretaries (CSCS) Joyce Borden-Reed Distinguished Contribution Award and has earned his Fellowship Canadian Investor Relations Institute (F.CIRI) designation from the Canadian Investor Relations Institute. 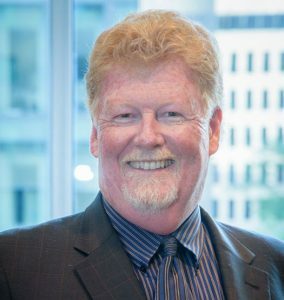 Glenn is a member of the Advisory Board of Women Get On Board Inc., a board member of both the Governance Professional of Canada (GPC) and the Capital Theatre in Port Hope, Ontario. Glenn is also a guest lecturer at several Canadian universities. Glenn works primarily out of GGA’s Toronto and New York offices.